My main interest is in the data front where on our Twitter some of you have been fuming acid and lava over the imminent extinction of the Facebook and Twitter bundles segment of OneFusion. I personally feel they are taking the right steps forward. HOLD ON with the pitch forks and torches and let me tell you a story. My first mobile internet experience was back in 2010. Yes this is when I got my first cellular cellphone which could open the Google page in it’s browser…and literally…that was it. Felt like a huge achievement too. Internet back then was a trouser troubling $1 for 10MB and as much as it was half a peanut, you could do quite a lot with it on a feature phone. I could last a week on Mxit! I do have to admit it was very expensive browsing the internet for all those who were privileged enough to own and use smartphones during this time. I heard their cries and man am I glad I couldn’t afford one then. Then MNOs started dishing out a handful of Social Media Bundles after our early cries for data to fall. Yes they started with just WhatsApp bundles and later on Facebook and then Twitter which was a good story for the majority of mobile internet users in Zimbabwe who had ordained those platforms to be their communication tools. Why? Because when the pocket speaks all you can do is understand. Life was good at face value but not many people realized how this was leading the whole nation astray regarding our perception of the internet. 2. say your mum’s name five times. See that there? How many times have 10 of your friends and relatives sent you the same message like this. I would lose my mind. However it was not their fault at all. They got it from the internet. In Zimbabwe more people can access a smartphone with greater ease than they can access a computer. This means the majority of people on the internet in Zimbabwe have it in their pocket. Connecting via this mobile form of internet was and is darn expensive and before the advent of social media bundles all we had was $1 for 10MB. The real internet was only for the elite. And with this bundling all we knew/know as internet is social media. Which is very worrying considering how very useful the internet in its entirety actually is. The skills that I have right now that are resulting in a positive change in my bank balance were entirely obtained from the internet. Beyond our boarders we have this buzz that went around just a little while ago called Net Neutrality. Basically its what we have been subjected to all this time by our MNOs and in its most simplest definition it is treating all internet the same. The way social media bundles are being treated should be the same way internet bundles should be treated but alas real internet is costing a hefty premium compared to a small part of it which is social media. As a wild thought it doesn’t look like the MNOs have any benefit from charging less for social media and more for the internet. I mean I might be wrong but at the end of the day MNOs pay for the amount of DATA transferred regardless of it being social media or internet. In fact it seems like it was a silly move considering that the more the internet is open, the more data the average person will consume. Ultimately the more useful the internet is to someone the more cash they will be willing to spend on it. I mean show of hands/comments all those who would buy daily data bundles so they look for something of value on the internet. I am positive a healthy sum of Zimbos buy a daily data bundle that they all wish could last more than 24hrs. And NetOne saw that…or at least I think they did, and it only makes sense why you would do it. I’m getting more value that I potentially am willing to spend even more wealth on. Revised OneFusion has touched all loyalists and some the wrong way. However in as much as it’s getting harsh reviews it actually is a huge huge step in the right direction. One idea I could furnish our valued Telcos with is creating an app with sliders for Data, On Net calls, Off Net calls, WhatsApp, Facebook, Twitter, SMSs and Validity period. With these sliders I can just enter the amount I am willing to spend and from that I use the sliders to produce a custom option for myself. I mean maybe all I want is 3.152GB of data and 77 minutes of on net calls lasting me 33days and that’s it. Well not yet. But this is the most convincing move towards it that we have seen. We at Techzim have always advocated against bundling of the internet but rather for all internet to be treated the same. We are a tech company based on the internet and we see a LOT of potential in that internet. For once you have reasonable data that you can use for more than 24hrs. You have access to more than just Facebook, WhatsApp and Twitter and you have a whole loot of tools now readily available for you to consume. We cannot run away from the fact that data is still generally expensive in Zimbabwe, because it is. But I do appreciate that someone is making an effort towards the bigger cause. Torches and pitchforks are welcome now. They should just scrap this WhatsApp bundle and make it raw data. Otherwise good move. Looks promising especially including calling minutes. They however need to fix and upgrade their network so that it can handle demand. What about the duration though, why can’t we just have the 30 days we once had. I pray that they add night time browsing to this otherwise the only gripe i have is the Whatsapp allocation they should bump up the data and scrape the whatsapp allocation, or at least offer that option. In a busy month i use 40-50mb data on whatsapp. The bundle content is quite ok, the best any local MNO can provide. However, the duration is a bit worrisome. I still feel being cheated being offered such an offer, but only for 21 days. Kkkkkkkk, Nothing is for free. Has Net One solved the problem whereby when i download anything on my whatsapp, it is the data bundle that gets depleted! They should just give us as data and we decide what to do with it. Background apps have access to raw data. The whole point of bundles is to protect data from other apps and getting carried away with surfing the net or downloading files. They have just copied the same structure Telecel’s Megaboost package has, I am not surprised!! ha…..bye bye Netone. scrapped 900 or 700 or so MB’ s from Facebook, then reduced whatsapp so as to add just 150mbs of data while also reducing the days…no offence but the article seems to be partial to Netone…pamwe makapiwa kambichana to advertise this as a development…. My guy! 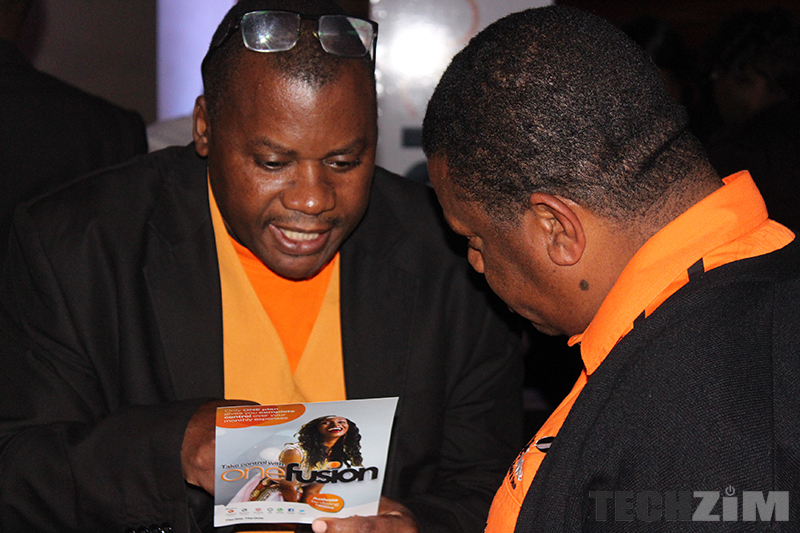 this netone one fusion thing is going to flop. netone one fusion customers where those who love Instagram, facebook and whatsapp and they switched to netone bcs it was offering a good deal for those services.. 350mbs of data on one fusion 5 was cool if you are an average user who use internet to browse important information like news and receiving emails.